Hill - Texas Was told it would fit, didn’t. "Have had nothing but issues with these. From the beginning of being marked up when I got them, to not stay in my bars for more then 2 rides. To me tightening them trying to make them stay and the throttle sticks now. Just ripped them out, rediculous trying to get it correctly in place on a 08 CBR 1000RR." Kabcar Looks great "Awesome product .... cosmetically looks great and will give your bike a more custom feel definitely... Would have given it 5 stars except for the torque spec which only allows 29 lbs of torque. Unfortunately some motorcycle specs call for 50+ Foot lbs or more depending on bike application." Amateurs and pro racers, daily commuters and new riders shop MotoSport for the best motorcycle products and the best prices. Our selection of motorcycle parts, aftermarket and OEM allows you to customize your machine entirely. It's easy to shop by make, model and year for specific motorcycle parts and gear. When you put your trust in MotoSport.com, you get the street bike parts and motorcycle accessories you need at fantastic pricing and without the wait. 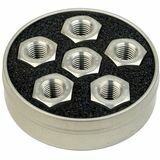 MotoSport.com carries motorcycle parts for the latest model as well as the early rides. OEM parts are factory direct and closely checked by our gearheads to make sure you will get the highest quality products. Shopping for a specific ride? Pick your bike and we will automatically filter our inventory to the items that fit it. No one beats MotoSport for hard-to-find parts and clearance savings, see for yourself! We offer the lowest prices on motorcycle hard parts, gear and accessories, guaranteed! From gloves to shoes, gauges to security, and communication devices to lights - it's easy to find amazing markdowns from our huge selection of discounted motorcycle parts and accessories. We offer fast, free shipping, expert customer service, and 90-day return policy - online shopping has never been easier! Motorcycle Parts - Bars, controls, tires, wheels and more to keep your street bar in great condition. 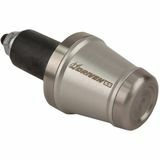 Motorcycle Exhaust - Upgrade for speed, style, sound or all three! Motorcycle OEM Parts - The best motorcycle brands: Honda, Kawasaki, KTM, Suzuki and Yamaha. Motorcycle Tires - Shop motorcycle tire combos, front tires, rear tires, inner tubes and tire tools and receive them right to your door. Street Bike Riding Accessories - We've got motorcycle covers, electronic devices and tools to maintain and upkeep your bike. Motorcycle Riding Gear - Racesuits, footwear, rainwear, gloves and more. Helmets and Accessories Take a look at our safe and affordable helmets, replacement parts, accessories and helmet cameras selection. Casual Apparel - Pants, shirts, shoes, belts and more for men, women and children. Gifts - Check out our incredible selection of motorcycle gifts! Brands Find your favorite motorcycle brand! When you need motorcycle and street bike parts, MotoSport.com is here to assist will ship your order right to your door. Want help? We have a toll free line 866-677-7338 and chat with experts. Remember, we offer fast, free shipping on orders Over $79.